Tired of being told you look tired? Dark circles are very common and have a number of causes such as allergies, lack of sleep, stress, and genetics to name a few. 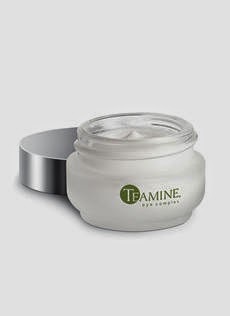 Teamine Eye Complex is the number one eye cream recommended for dark circles by physicians. Teamine is constructed to be effective through several pathways. The cream provides three main benefits such as visibly diminishing the look of dark under eye circles, reducing the appearance of puffiness and smoothing the look of fine lines and wrinkles. Teamine is formulated from several key ingredients: Teamine Complex, Tetrahexyldecyl Ascorbate (Vitamin C), Phytonadione (Vitamin K), Mica, Silica & Titanium Dioxide, 1 and 3 Beta-Glucan, and Peptide Complex. These ingredients work together in order to remove dark circles, puffiness, fine lines and wrinkles, brighten, calm and soothe the skin. The powerful antioxidants in the cream help create optimal anti-aging benefits as well. Once you begin to use Teamine, you will be able to see and feel long-term results within four to eight weeks. Teamine’s formula has been constructed from years of rigorous research and is considered to be the most complete topical cream offered to tackle dark circles, puffiness, lack of elasticity and fine lines and wrinkles in the fragile eye area. Contact the Shaw Center today at (480) 767-1900 for additional information or to begin your Teamine treatment!